Christianity, as a shrunken world religion, is based on the person of Jesus of Nazareth, a jewish wandering preacher, who appeared in the years 28-30 of our chronology and was executed in Jerusalem. According to islamic and sufist faith, the crucifixion, which according to christian faith was followed by a resurrection, took place less negatively than in the New Testament described. 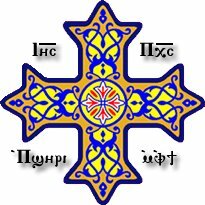 Today's Christian creed describes a mystical divine triad in the form of the divine triad of the three divine persons, god the Father, Jesus as the only son of god, and the Holy Spirit, in conjunction with the creative principle of the Logos. Christianity also includes the ancient bible in its canon. But it sees it as a doctrine of the tree of knowledge and itself as a higher development with the tree of life. Since nowadays no real spiritual development neither in islamic religion nor in jewish religion nor in christian religion takes place Jesus must for the latter serve as the redeemer. Such outer religions are mostly a gravestone for spirituality. The four christian standard - gospels were first written more than 70 years after Christ's birth and therefore also first after the letters of the apostle Paulus. Four not clearly identified authors worked under the names of well-known apostles as scribes of the synoptic gospels ('good news'). Besides the above exist further so-called apocryphal writings and gospels, such as the Thomas gosple and early texts such as ' Herd of Hermas' and the 'Didache' , which contains an eschatological final chapter. The so called pre - gospel hypothesis assumes that three synoptics have used a today missing Aramaic or Hebrew 'Nazarene evangelium'. This hypothesis is also based on an unanimous assessment of the early christian Church fathers. The philosopher and Platon - follower Celsus explicated in 178 AD that the christian copyists of the gospels would have edited the pre-text several times at their own convenience. He futher scoffed at the Christian faith in a divine providence and said, that in the roman empire one laughs at a christian divine name, and that the majority of the Christians consisted of members of the uneducated classes and slaves. The educated classes of the roman empire had their own religious doctrines (which Ovid had suggested in his metamorphoses, and which were later subordinate to the Index Librorum). Origines tried to disprove this. He admitted however, that the transcripts differed, because the writers added and excluded as it suited them. " The oldest today preserved evangelical texts date back to the fourth century. The information about the authors do not belong to the original text of the Gospels. They were established by the church in the fourth century. Modern bibletexts are translations of the 7th century. The four Gospels contain a series of inconsistent passages, such as the '72 disciples of Jesus' and 'Mary Magdalene', and an unrealistically idealistic mountain preaching and a virgin - birth, which in India also Shivas wife Parvati had regarding Ganesha. The proclaiming angel corresponds from an allegorical point of view to the inner 'angel' of the Tarot card 14(Venus-Phase). It seems that initiated followers of the suppressed ancient mysteries have left their traces in the copies of the gospels. The four Gospels contain a number of inconsistent passages, such as the 72 disciples of Jesus and Mary Magdalene, an unrealistic idealistic sermon on the mount and a virgin birth, which in India also had Parvati concerning Ganesha. From an allegorical point of view, the angel announcing the birth of Jesus corresponds to the angel of the tarot card 14, who represents the state of development. Krishna's birth was also prophesied to his uncle Kamsa by a secret voice (i.e. the Shabda). Also the first miracle of Jesus as a guest of a wedding celebration, during which he transforms water into wine (John 2,1-12 EU) is already similarly known from the Greek mysteries, where Dionysos is accordingly called vine stock, while the 'wine' can be interpreted as Amrita. The Mary-devotions had their equivalent in the egypt-roman cult of Isis from a time of earlier than 600 B.C. From the esoteric standpoint of the universal path, the gospels represent the path under the aspect of the four elementary principles, whereby Jesus is to be understood as the symbolic figure of the developing spiritual soul, equivalent to the hinduist Jivatma. Therefore the gospels first begin at higher steps of the universal path (The virgin-birth corresponds to the end of step 14('Sol-Plante-Phase')). Christianity had a long and often decayed history after the councils of the first centuries. The active doctrine was lost early and froze into dogmas. Christian theology is summarized in creeds such as the Apostles' Creed and Nicene Creed. Today's churches interpret the teachings of the early church in their own sense, and have even partially adapted themselves to modern psychology. So the doctrine of the in reality pseudo - salvation through Christ, which the churches nowadays proclaim, lets the pharisaery with its fasting and the keeping of the commandments far behind. To this also Paul, Romans 8: 7-14 : 7The mind governed by the flesh is hostile to God; it does not submit to God’s law, nor can it do so. 8 Those who are in the realm of the flesh cannot please God.9 You, however, are not in the realm of the flesh but are in the realm of the Spirit, if indeed the Spirit of God lives in you. And if anyone does not have the Spirit of Christ, they do not belong to Christ. 10 But if Christ is in you, then even though your body is subject to death because of sin, the Spirit gives life because of righteousness. 11 And if the Spirit of him who raised Jesus from the dead is living in you, he who raised Christ from the dead will also give life to your mortal bodies because of his Spirit who lives in you. 12Therefore, brothers and sisters, we have an obligation—but it is not to the flesh, to live according to it. 13 For if you live according to the flesh, you will die; but if by the Spirit you put to death the misdeeds of the body, you will live.14 For those who are led by the Spirit of God are the children of God. Modern churches teach the faith in a God whom they have never personally encountered. The word 'faith' had formerly a different meaning, when the "faith as a mustard" (Luke 17: 5-6 ) could move mountains : 6 He replied, “If you have faith as small as a mustard seed, you can say to this mulberry tree, ‘Be uprooted and planted in the sea,’ and it will obey you. The kingdom of heaven is like a mustard ( Matthew 13, 31-32 ) : The kingdom of heaven is like a mustard seed, which a man took and planted in his field. 32 Though it is the smallest of all seeds, yet when it grows, it is the largest of garden plants and becomes a tree, so that the birds come and perch in its branches.” . What is meant here is probably the so-called Stoic Logos spermaticos. True faith is the fruit of spiritual self-realization and not a "to hold true". The modern Churches lack the lost means of the very early Christianity of which they do not want to know anything. In their place came the comfortable faith in the saviour Christ (1st Council of Nicea). The sacraments emerged at a time when the church needed money. Even the rosary - pray of the past is nowadays obsolete. In the apostolic age christianity had the "stay in the word" (of the name of Yeshua-Ra) as a long-standing mantra - practice before the bloody council at Nicea. * 1 Kor. 6.11 : 11 And such were some of you: but ye were washed, but ye were sanctified, but ye were justified in the name of the Lord Jesus Christ, and in the Spirit of our God. * 1 Kor. 15.31 : 1 I protest by that glorying in you, brethren, which I have in Christ Jesus our Lord, I die daily. * Joh. 8.51 : 51 Verily, verily, I say unto you, If a man keep my word, he shall never see death. * John. 14, 21-24 : 21 He that hath my commandments, and keepeth them, he it is that loveth me: and he that loveth me shall be loved of my Father, and I will love him, and will manifest myself unto him. 22 Judas (not Iscariot) saith unto him, Lord, what is come to pass that thou wilt manifest thyself unto us, and not unto the world? 23 Jesus answered and said unto him, If a man love me, he will keep my word: and my Father will love him, and we will come unto him, and make our abode with him. 24 He that loveth me not keepeth not my words: and the word which ye hear is not mine, but the Father’s who sent me. * John 17.14-17 : 14 I have given them thy word; and the world hated them, because they are not of the world, even as I am not of the world. 15 I pray not that thou shouldest take them from the world, but that thou shouldest keep them from the evil one. 16 They are not of the world, even as I am not of the world. 17 Sanctify them in the truth: thy word is truth. * Hebrew 4.12 : 12 For the word of God is living, and active, and sharper than any two-edged sword, and piercing even to the dividing of soul and spirit, of both joints and marrow, and quick to discern the thoughts and intents of the heart. * 1 Petrus 1.25 :But the word of the Lord abideth for ever. And this is the word of good tidings which was preached unto you. The early christian method of spiritual evolution was the meditation of the name "Jeshu-Ra" which allowed the gradual approach to the logos. The name Jeshua-ra is comparable with the name of the indish creatorgod Ishvara and analog to the egypt Amon-Ra. From "Let the dead bury the dead and follow me" or "In Christ I die daily", or "Be perfect as your father in heaven is perfect" (Mt 5, 48) is no longer anything felt in today's churches of all kinds. It is mostly rather considered nonsense. Today's theology has thus become a tombstone in front of the grave of Christ. Already Emanuel Swedenborg wrote in his 1758 book 'The True Christian Religion' about the lack of deeper understanding of the churches. In the gospel of Luke we find the story of John, the "water-baptist" who meets Jesus who "baptizes with fire" (Luke 12, 49) as a reference to the spiritual rebirth out of 'water and spirit' - without which the kingdom of heaven can not be inherited, and also "Unless a man be born anew, he can not see the kingdom of God" (John 3: 3). The prerequisite for baptism with the divine spirit is therefore the purified 'John man', whom the Tarotcard 12 symbolically shows. After moral preparation, he enters the penitential path at level 7 of the universal doctrine. Even a heart meditation practice on the Islamic John name 'Yah-ya' (the mosaic EHYEH (ASHER) EHYEH Is quabalistically similar) Is at this point mantramistically effective. In the first of the first letter of Peter, the initiate Peter therefore compares the salvation of Noah above the water with baptism (~John). In our so-called modern times with the many psycic abysses the shriveled churches sometimes still maintain a certain rudimentary frozen moral base in a frozen society, but an ignorant intolerant attitude toward true spiritual religion, to which oppression they contribute. The true priest should be the wise friend of all men, but as most priests of all religions lack the true spiritual love because of lack of spiritual fulfillment, dogmatism with ridiculous and profound assurances of correct interpretation arose, and this explains often the cruel way in which he glosses over the allegedly correct principles and intentions (In Islam it is no different.). Sentences like 1 John 2.15-17 Do not love the world or anything in the world. If anyone loves the world, love for the Father is not in them. 16 or everything in the world—the lust of the flesh, the lust of the eyes, and the pride of life—comes not from the Father but from the world. The world and its desires pass away, but whoever does the will of God lives forever. or Galathians 5, 19-23 The acts of the flesh are obvious: sexual immorality, impurity and debauchery; idolatry and witchcraft; hatred, discord, jealousy, fits of rage, selfish ambition, dissensions, factions and envy; drunkenness, orgies, and the like. I warn you, as I did before, that those who live like this will not inherit the kingdom of God. or Ephesian 6.11 ff Put on the full armor of God, so that you can take your stand against the devil’s schemes. For our struggle is not against flesh and blood, but against the rulers, against the authorities, against the powers of this dark world and against the spiritual forces of evil in the heavenly realms. Therefore put on the full armor of God, so that when the day of evil comes, you may be able to stand your ground, and after you have done everything, to stand. Stand firm then, with the belt of truth buckled around your waist, with the breastplate of righteousness in place, and with your feet fitted with the readiness that comes from the gospel of peace. In addition to all this, take up the shield of faith, with which you can extinguish all the flaming arrows of the evil one. Take the helmet of salvation and the sword of the Spirit, which is the word of God. And not least " Are not two sparrows sold for a penny? Yet not one of them will fall to the ground outside your Father’s care. And even the very hairs of your head are all numbered. "(Matt 10.29) - today lead to an enlightened headshake. The real-seeking Christian could practize a very regular long intensive meditation on the name 'Yeshua-Ra' and simultaneously visualize Christ as a glorified form of light. ie. Guru meditation. This name is similar to the Hindu "Ishvara" striking: 'Ye-sh-ua-ra' ----'I-sh-va-ra'. Then Christ becomes gradually the true Savior and the Christian becomes a child of light. The gospels begin first with step 12. Jesus("Jeshua") baptizes with fire. Therefore was the "path of John"("God is gracious and merciful") the bapist(hebr. : יוֹחָנָן הַמַּטְבִּיל; Islam : Yahya) presupposed. 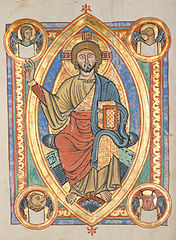 In the representation of Mark's Gospel John appears as a forerunner and pioneer of Jesus (Mk 1,2–15). The student should have begun the trailpath, which can also be achieved with other exercises. The true priest should be the wise friend of all people, but as it lacks the vast majority of priests of all religions the true love of God, resulted a dogmatism with ridiculous and profound assurances of the correct interpretation, and that explains the often cruel manner how the alleged right principles and intentions are glossed over. "Our fight is not against flesh and blood, but against the rulers, against the powers, against the world rulers of the darkness, against the spiritual forces of evil in the heavens." (Eph. 6, 12 f.) lead nowadays to elucidated headshaking. The early christianity practized the above mentioned lost method of inner repetition of the secret name of Jesus ('Jeshua-Ra' - in comparison with 'Amon-Ra'). The christian fundamentals are the four gospels, the letters of the apostles and the apocalypse of John. Until the bloody council to Nicea the christian tradition degraded and the practices were lost and a simple beleife survived and stayed over. Christian meditation and enlightenment : Click to expand - Click again to collapse ! For Christians who are truly seeking for spiritual self-realization, a regular and intensive meditation practice on the "name" 'Jeshua-Ra' , while at the same time visualizing Christ over them as a transfigured light-figure, would be practical. i.e : Gurumeditation (this name is not by chance similar to the Hindu Ishvara :"Je-sh-u-a-ra" ----"I-sh-v-a-ra"). There are and were, however, spiritual and gnostic currents which conceived the four Gospels as symbolic stories in the sense of the representation of the path to enlightenment (as indicated in "R. Steiner: Christianity as a mystical fact"). The text presents the teaching visionally in 7 sections with 7 phases each. * In chapter 10 the angel stands on the land and on the sea, similar to the tarot card 10. * The apocalyptic mount Zion of step 14 can be equated here with mount Sinai at step 14 of the Old Testament. * The apocalyptic 'whore' Babel corresponds to step 17 of the universal path - similar is tarotcard 17. * The final court corresponds to the mastership of step 20 - similar is tarotcard 20 ! * The apocalyptic step 22 describes the highest divine current, the "word" in its highest aspect, identical with the Para-Nada flowing through the divine 'city' (a symbol for a particular chakra) from the kashmir Para-Shakti. The four gospels were written over 70 years after Christ and by persons who had not seen Jesus personally. The gospels are symbolic stories of the four directions of the path(Christian Rosenkreuz has similar the choice of four pathes in the 'chymical wedding' with respect of the 'four elements') . The path as taught by Matthew('Man') from Betlehem to Golgatha (s.a. Alice Bailey : From Betlehem to Golgatha) describes one direction of the four main directions (U.D. 15-19), beginning with the birth of the "divine child"(like Horus and Isis). It must therefore be noted that Bethlehem (meaning : wisdom and love) is the beginning of the path(1st initiation; U.Doctrine 15), and that the divine child is not born in the Augias-Stall, but long after the rainbow of Noach, who has left the animals with the ark behind - i.e. midst of spiritual meekness and humility. The later flight to Egypt describes phase 2 and 3 of step 15 of the U.P. There were and exist spiritual and gnostic groups wo interpret the four gospels as symbolic stories in the sense of the representation of the path to the enlightenment (like for example in "R. Steiner: To read about Christianity as a mystical fact "). Each of the four gospels presents a life-story with slight differences because it describes the development process regarding to one of the four element-principles. Luke's accounts differ from those in Mark and Matthew. An example is the legend of the "three holy kings" (Casper; Melchior; Balthasar) who followed the five star to see the Jesus-child. This describes the beginning of the first initiation at the end of step 14. The angel, who announces Maria the birth of the Jesus-child(the Filius Philosophorum or Horus) corrensponses esoterically with the "Venus phase"(2) of step 14. He is the same angel who calls "Christian Rosenkreutz" to the "Chymical wedding", a Cherubim whom also the 'Tarotcard 14' shows. Later, at the end of the step 15, follows the temptation through the devil, whom also the 'Tarotcard 15' shows. The " Transfiguration" of Jesus on the mountain marks the step 16, where He meets Moses, who died in the Exodus on step 16, and Elia(:My lord is JHWH). The garden Getsemane ( Mt. 26; LUKE 22:39-53) on the "Mount of Olives"(hebr. Har haSetim) describes step 17(similar is the greek 'Garden of the hesperides'). A further example out of the "Gospel of John, chapter 18" is the last communion. The 'last communion' describes the first cycle of the step 18 of the Universal Doctrine. Jesus lies with Judas and Petrus too tables. Jesus as the spiritual self arranges the 12 spiritual forces around himself. Jesus gives Judas the morsel of bread. After he had taken the piece of bread, the Satan entered him. Jesus sends him into the night with "What you are about to do, do it quickly", i.e. it the second of five cycles('Saturnus - phase') and then Jesus is captured. Also Pilatus cannot find any guilt at Jesus - because Jesus stands fully in the "Word" - end of the phase 4). The spiritual lunar principle reaches its development culmination (Tarotcard 18, silver-coins of Judas) on the step 18. At phase 1 of step 19, they take off Jesus clothes, and put a "dark red coat" on him. Then they put a crown of thorns on his head, and the soldiers illuded him as "king of the Jews", whose empire is not by this world - he is convicted to the (mystical) death at the cross on the mountain(19,phase 2). On the first phase of the step 20, the mountain Golgatha stands as a symbol for the successful aspiration into the divine, which "glorifies" the enlightened disciple now(phase 1). During the second cycle he "goes down to the hell" and rises again within the third cycle. On phase four he develops his "white lunaric body". Also in gnostic circles circulated the rumor that the church had falsified certain parts of the gospels and changed texts which hindered the worldly spreading of Christianity(in comparison with a yet existing sentences such as: "Do not go the way to the Gentiles and go to no city of the Samaritans, but go to the lost sheep of the house of Israel."(Math. 10.5), or sentences such as: ""Here are My Mother and My brothers! For whoever does the will of My Father in Heaven is My brother, and sister and mother. "", or the answer upon "Who is my next?" .....). * A gnostic beleife was that the death of Christ had been falsified from : "My Lord, my Lord, how have You glorified me", to 'Eli Eli why have you deserted me ?'." (By the way the word "ELI" resembles at the taoist "Julai", the name of the illuminated Taoist.) That is however hermetically not quite correct : Step 20 begins with the spiritual "mercury phase", which is the "glorification" through the "father"(~Ishvara; J.J.Zebaoth), the highest spiritual force(1st ray) leads to the dark "Saturnus - phase" (mystic death). Therefore says Luke "Father, into thy hands I commend my spirit ... and having said thus, he gave up the ghost(Luke 23:46)...and from the sixth hour to the ninth hour lay a large darkness over the country."). Then follows the "resurrection" out of the 'grave of the matter'(" Jupiter") and the long Luna-phase("white robe"). On that follows the "Venus-Cycle" with the mastership(end of 5th initiation, true 'Mahatma') with the raise to heaven. The story of the rich man and lazarus, who gets into eaven, and the parable of the good Samaritan my be examples of next-love, but such deeds do not lead into heaven. Augustine interpreted the parable allegorically, with the Samaritan representing Jesus Christ, who saves the sinful soul(...but of course does not, only the equivalent spiritual force during the 'rebirth of water and spirit' saves the soul - and not Jesus personally). Matthew 28:19 and Mark 16.15 'Therefore go and teach all nations and baptize them' does not fit to 'Do not put your foot on pagan territory and do not enter a Samaritan city' (Mt 10: 5-6). Also the appearance of " Maria Magdalena" under the cross has a certain secret meaning. The causal body, the higher human personality, "dies" under the cross and is transformed. The highest spiritual force(Father; 'Ishvara') dominates the doubly illuminated disciple(U.Doctrine.19). The resurrection out of the grave has therefore the meaning of the step 20. 1Jo 2:15 I have written unto you, fathers, because you have known him [that is] from the beginning. I have written unto you, young men, because ye are strong, and the word of God abideth in you, and ye have overcome the wicked one. 1Jo 2:15 Love not the world, neither the things [that are] in the world. If any man love the world, the love of the Father is not in him. 1Jo 2:16 For all that [is] in the world, the lust of the flesh, and the lust of the eyes, and the pride of life, is not of the Father, but is of the world. 1Jo 2:17 And the world passeth away, and the lust thereof: but he that doeth the will of God abideth for ever. The 12 beatitudes (Gospel of Matthew) take place on a mountain(a mountain symbolizes the aspiration into the divine). Further study : A. A. Bailey: From Betlehem to calvary(Lucis).